Oh. My. GOD. 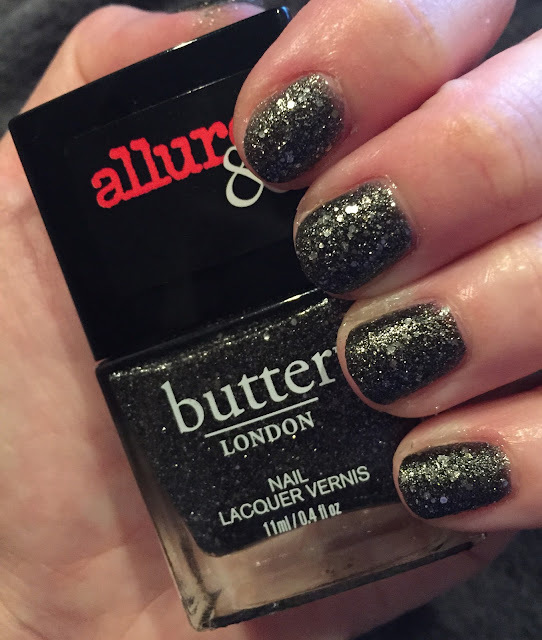 Allure & Butter LONDON Disco Nap is, in a word, GLORIOUS. Allure and butter LONDON teamed up to bring us the Arm Candy Collection for Fall 2015, and this is one of the colors. Honestly, I was pretty underwhelmed by the rest of the collection, but Disco Nap was an immediate standout. And, come on -- it's for good reason! Can we please discuss how gorgeous this polish is? Come on, please? Disco Nap is a deep charcoal polish packed with tons of multidimensional, different sized silver glitter flecks. This is one of those colors that's so good I seriously can't stop staring at my nails. Honestly, I almost couldn't stop looking at them long enough to even write this post! I had to drag myself away. Two coats yield absolutely perfect, even, opaque color. Top coat definitely gives it more of a glossy finish, but you'll still feel a bit of texture. Even without top coat, though, it's not too matte. This is most certainly a complete stunner. In fact, I need to stop writing now so I can continue to stare at my nails for many hours to come. 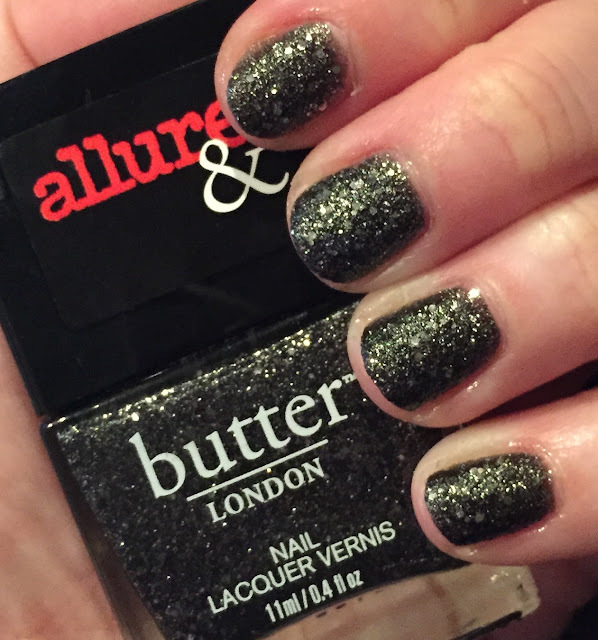 Allure & butter LONDON Disco Nap retails for $15 at beauty.com. What an unbelievably gorgeous shade! This is one of my favorite shades from that collection! It's so easy and glam. When this was released to bloggers, I saw Disco Nap everywhere and swooned every time! I love the sparkles mixed with the black, it's so pretty! Disco Nap has been my absolute favorite! What a pretty shade. I think Butter London still has their F&F discount going on too. This is a beautiful shade for Fall! Such a great shade! You know it's a winner when you can stop admiring it.